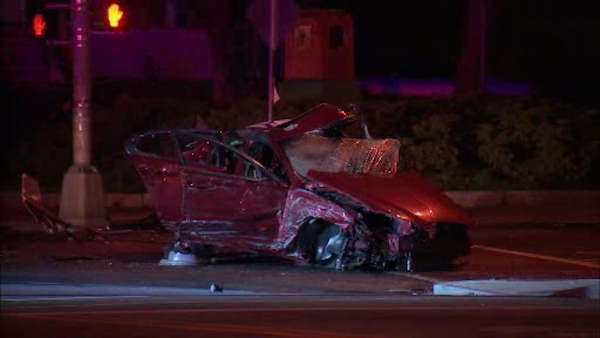 NEWARK, New Jersey (WABC) -- Two police officers were injured and four people were arrested after a lengthy car chase and crash in New Jersey. Police say four people stole an SUV in Fairfield late Saturday night, a crime possibly connected to other thefts and carjackings in Essex County. Officers found the vehicle in Newark and started chasing it through several neighborhoods, with a police helicopter following overhead. The SUV crashed head-on into an unmarked police car at the intersection of South Orange and Morris Avenues, and burst into flames. Four people in the car - two men, a woman and a teenage girl - were captured at the scene. 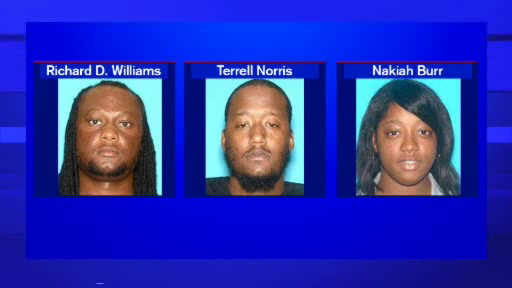 Arrested were Richard D. Williams, 39, Terrell Norris, 28, a 16-year-old female, all of Newark, and Nakiah Burr, 19, of East Orange. The injured officers and one of the suspects were all treated at a hospital.